Since launching Uber Freight, the company had seen its share of difficulties, culminating in the end of Uber's autonomous trucking division. We caught up with Eric Berdinis, senior product manager for Uber Freight, about the company’s progress. HDT: Uber recently announced it was doubling down on Uber Freight, with more investment and the return of Lior Ron to head it. Tell us a little bit about that. Berdinis: Uber has always been a transportation company at heart. When it first started moving people around cities it realized the technology... could apply to transportation sectors in a variety of verticals – moving people, moving things, moving food, And with freight, it’s an opportunity to make an industry which has long been a laggard of technology [adoption] more efficient, more fair and equitable for drivers and carriers and shippers and more modern in many ways. 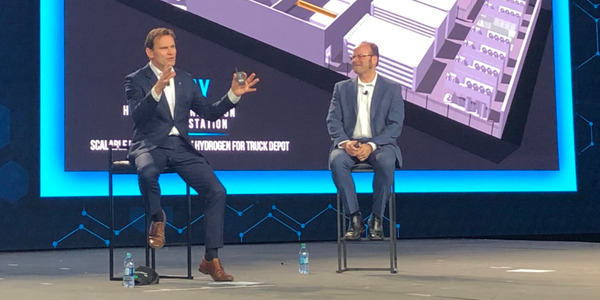 When Uber saw the opportunity to bring the technology to trucking, it wanted to see how the market would react and how the product would work. Over the last couple of years we’ve shown a lot of progress and momentum, and by doubling the investment and bringing Lior back… the board is putting confidence in Uber’s future in trucking. HDT: Earlier this year, with the shutdown of the autonomous trucking operation and questions about some of Uber's finances, there was even an article in Forbes asking, is Uber Freight about to shut down? Berdinis: Yeah, we saw that article but weren’t sure what it was referring to. With self-driving trucks, Uber has always had kind of two bets in the trucking space. In order to focus, it decided that working on the core Uber platform would help accelerate its efforts in transportation faster. Both were bets, and the company decided to pursue Uber Freight. HDT: Not long after that, you launched the shipper version of the app. 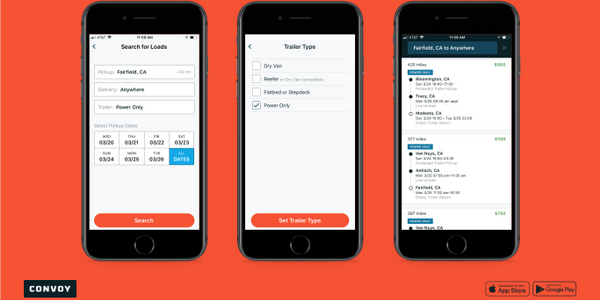 When I talked to Uber after the launch of Uber Freight last year, the app was aimed at owner-operators and small fleets, while a small army of recruits with brokerage expertise were handling the interactions with the shippers in the background. Tell us how Uber Freight for shippers has changed that. Berdinis: You mean how shippers are interacting with Uber? When we started about a year and a half ago, we were working with shippers with their interface, whether that was phone, email.... But we realized there were a lot of things we could do to make their lives faster, easier, more efficient, and save money. That's how we ended up working with a small group of shippers on the Uber Freight platform. We saw that a lot of them used Post-it notes and Excel spreadsheets to manage what added up to millions of dollars in goods that need to move around the country. We wanted to provide a system as easy to use as the Uber Ride app. You can see easily where the truck is, get a quote instantly – no back and forth with emails. You don't have to wait around, if a shipment needs to go on a weekend, until your rep gets back in Monday. HDT: How similar is it to Uber Ride app people are familiar with? Berdinis: In principle, [it’s the same in that] you fill out information about picking up here and dropping off there and get a price. 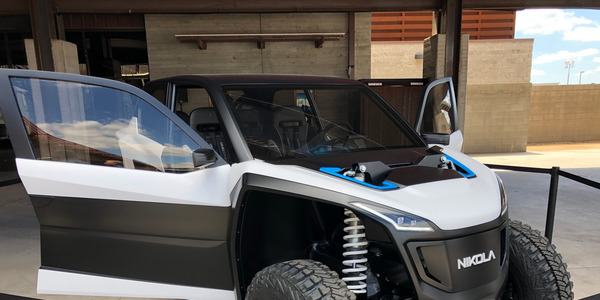 We wanted to make it as easy to use [as Uber Ride], but from a functionality standpoint, it is designed for trucking and for people at their desks. It’s on a laptop or a desktop instead of on your phone, and we have extra information, like what facilities you’re picking up from, weight, how many pallets, all the details specific to trucking. The same with the documentation at the end. We show a picture of the proof of delivery so you have the assurance when the load is delivered, you have that picture. We send a picture of the bill of lading with the signatures after the shipment is done. This surprised us, shippers used to spend hours tracking down paperwork. Some might come in over the fax or don’t show up at all. [With Uber Freight] you can see a list of shipments and each one will have bill of lading/proof of delivery. 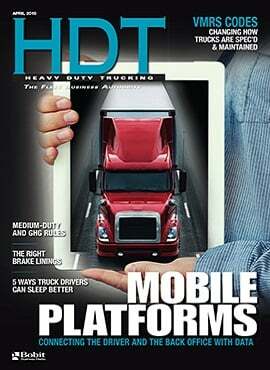 HDT: What does this mean for the trucking companies that are actually hauling the freight? Berdinis: For them it means there are more loads and more opportunities to use Uber Freight. The experience is going to be the same for drivers; they’re opening the app and finding loads in their area. But now we’re able to work with a larger variety of shippers in many other places. Before, [these shippers] were too small for brokers or other companies to work with. But this opens up our ability to take freight from some of the smaller and medium size companies so now our drivers have access to more freight. HDT: What size trucking companies use Uber Freight? Berdinis: On the carrier side, we mostly work with owner-operators and fleets of 10 to 15 trucks. We have features in the app that let you, if you’re a dispatcher, that you can dispatch your drivers so you can have small fleets. Or if you're an owner-operator, you’re your own dispatcher and you have full control. 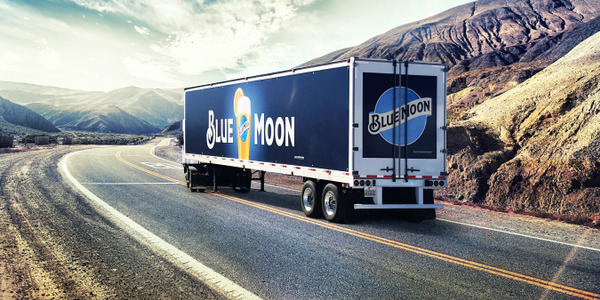 We do work with some larger carriers as well that have hundreds of trucks that have some of their drivers on the Uber Freight app, and we’re working with them to come up with new ways we can work with them. But most of it is on the smaller side, one to 15 trucks. HDT: And speaking of those carriers, I understand you have a new Carrier Advisory Board. Tell us about that. Berdinis: It’s a way that we can solidity some of the relationships we’ve built up with our carriers. Since launch, everything we’ve built has been focused around how do we make the lives of our carriers and drivers easier and better – easy booking, getting paid quickly are things we knew are important to carriers. We launched a Carrier Advisory Board as a way to have a small, select group of carriers, some who have been using Uber Freight for a while, some relatively new, to give us feedback and help us build it. [To tell us] what are ways we can push the envelope further in the trucking industry and bring a level of transparency and fairness they haven’t experienced? At events throughout the year and through online platforms we can have a dialogue directly with our customers. HDT: When you launched Uber Freight, it was only in a few regions. How has the national rollout gone? Berdinis: We’ve been extremely excited by the progress scaling from Texas out to the full country, and with the announcement of Uber doubling down on the Investment in Uber Freight, it gives us the ability to go even deeper into areas where we don’t have a lot of volume yet. Every time the driver opens up the app, we want there to be plenty of options to choose from. We believe over the next few years we can have an experience where no matter where you are; you can work with Uber Freight and always find business. And with the shipper platform, we’re trying to push into the different segments of the market where traditional trucking companies would have a harder time accessing. 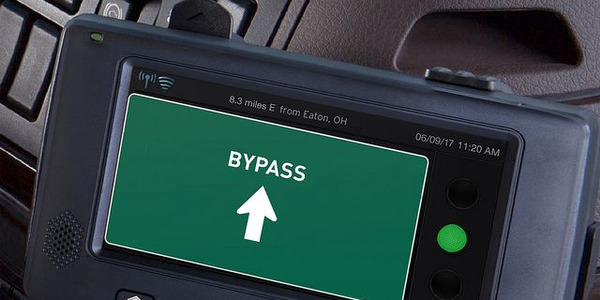 Just like the driver app where we’re bringing together the small fleets and owner-operators, shippers don't always have the mean to access this capacity. In many ways we’re doing the same thing for the shipper side, so we’re bringing together the small and medium shippers to connect with all the carriers we’ve worked with for the last year and a half on the Uber Freight driver app. 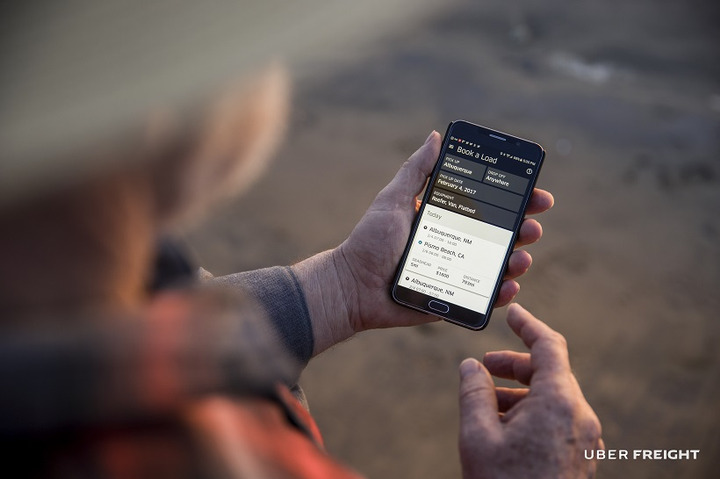 HDT: What types of freight are available in the Uber Freight app? 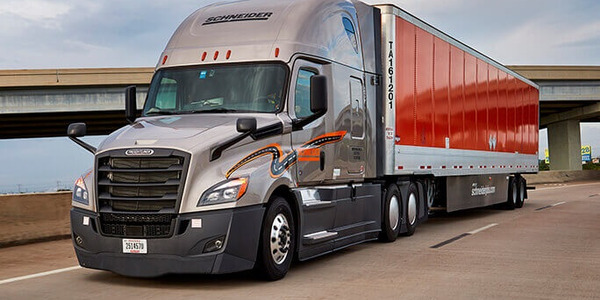 Berdinis: Our focus areas are on full truckload, dry van and reefer in the lower 48 states in the U.S.
HDT: Are there plans in the future to branch out into other types of freight? Berdinis: Absolutely. 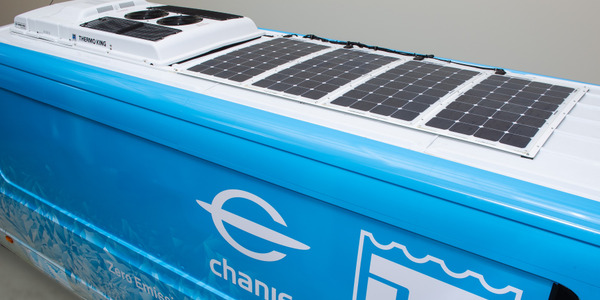 We believe we can make the same kind of impact we’ve had in the dry van and reefer space. We’ve even heard from shippers and carriers, ‘Could you go into this area or this type of freight.’ Sometimes it’s things we think are really congruent with the product and services we currently have; sometimes it’s further off. You’ll see over the next few months and years we’ll be opening more and more types of freight and more and more geography. HDT: Tell me about your partnership with Land O’Lakes. I understand the company has been able to optimize a lane in Texas using the Uber Freight app. 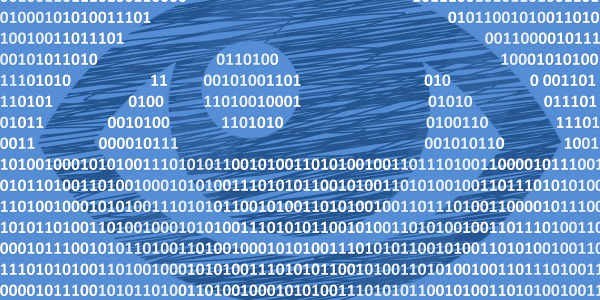 Berdinis: Uber's a very data-driven company. Land O Lakes shared which lanes (an origin-destination pair) were easier or harder for them to get coverage, and we worked with them to pick a lane in areas where we had a strong overlap with our driver base. Land O Lakes needed help; they needed to know when they’ve got a shipment moving that Uber Freight will have that covered. We started putting a large volume of their Texas freight in this lane in our driver app and were able to provide really reliable coverage through the driver app. The moment a Land O Lakes load would come onto the platform you’d have lots of drivers checking it out and booking it well in advance of when the load would be picked up. HDT: And is this something you see happening with other shippers? Berdinis: Absolutely. We work with lots of shippers on particular projects and particular lanes, in many cases with similar results. This was an opportunity that was good for us to share with the world. HDT: Unlike the taxi business, there are a lot of other companies out there working on various versions of what was often called “Uber for trucking” even before Uber got into the business. What do you believe sets Uber Freight apart? Berdinis: Great question. There are lots of trucking apps out there… what we believe sets us apart is we are providing a direct connection from carriers to shippers, and we’re making it extremely easy to run a trucking business and to grow that business. There’s no friction between wanting an opportunity, booking it and getting paid. There are other load boards where you can see opportunity, but to know you’ve gotten that job and that can book it… [with load boards] you’re still making phone calls, you're still signing one-off contracts, and still calling months later to try to get paid for that. Because with Uber Freight, it’s coming through this robust system we’ve built with [Uber] Ride and [Uber] Eat. 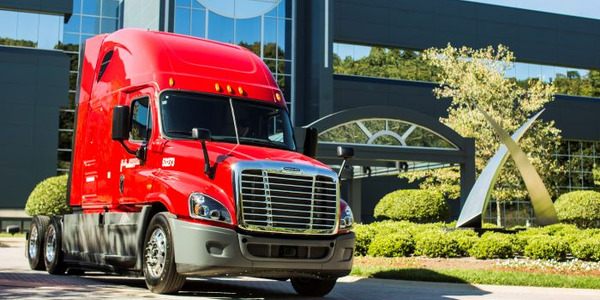 We’re here to help drivers and carriers built their business. We want to be a true partner to them. 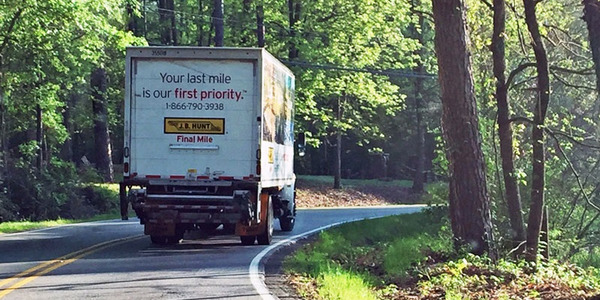 It’s not just about filling the truck; it’s about making them succeed as a business. We like to go beyond that when we can and help people behind the wheel connect to the people who matter to them and get home to their families and connect with the loads that can do that for them. We see our place in the industry not just as a load board, but as a company trying to elevate the role of small carriers and shippers around the country.